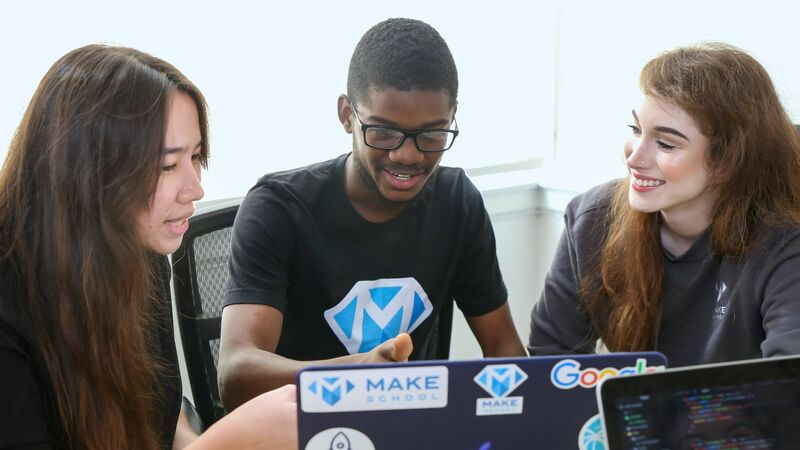 Make School, a San Francisco startup that operates a two-year bachelor’s degree in applied computer science, has been accredited by the Western Association of Schools and Colleges via a partnership with Dominican University of California. The big picture: The boom in so-called coding bootcamps several years ago highlighted the need to bridge the gap between traditional college degrees and the growing demand for computer programmers. Make School is betting that it can offer some students a more efficient alternative to a four-year degree. 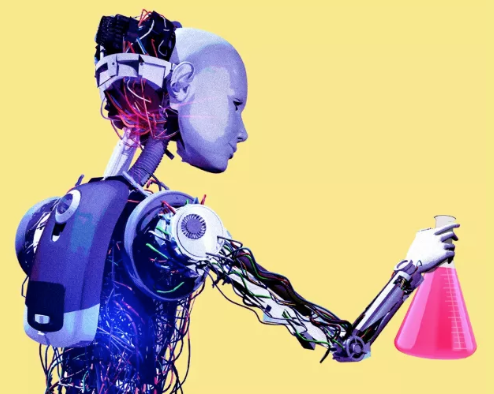 What they’re saying: "We’re seeing a shift with this generation … they’re optimizing for outcomes," Make School co-founder Jeremy Rossmann tells Axios of today's teenagers. In 2012, Rossmann and co-founder Ashu Desai started the company — then called Make Games With Us — offering short programs for teenagers to learn to code their own video games. Since then, it has added its two-year computer programming program, which aims to help students build a portfolio to land a full-time job in software. The curriculum is heavily focused on computer science and programming, but also includes liberal arts classes and courses in practical skills like job interviewing. “San Francisco is a Mecca for tech and there’s a tremendous amount of value in having your formative years in tech in downtown San Francisco,” says Rossmann, explaining why the company chose to locate in one of the most expensive U.S. cities, where it offers student housing. Since 2014, 210 students have participated in either a one-year pilot program or the full two-year version, with a 12% dropout rate. Make School says it’s making its education more accessible, both via its business model and approach to admissions. The school offers income-sharing options, meaning students can pay a percentage of their pre-tax salary once they land a job making at least $60,000 instead of paying tuition upfront. According to Rossmann, 95% of current students have opted for some form of income sharing. Make School says that its admissions process is designed to be less focused on traditional academic requirements and offers a pre-admissions program that helps candidates get up to speed with programing basics to ensure they’ll be ready for the curriculum. A quarter of its most recent group of admitted students had to complete the program, says Rossmann. Make School also requires that candidates take the SAT or ACT test as they would for most traditional colleges. Of the 110 students currently enrolled, 25% are women, 40% are from underrepresented minorities, and 60% are from households making less than $60,000 per year. Employers also seem open to alternative education like Make School’s program. So far, graduates have gone on to work at top tech companies like Facebook, Snap, Google, and Apple. Their average starting salary is $95,000 per year, says Rossmann. A number of large tech companies have dropped their requirement that job candidates have a college degree, signaling a broader shift in how these employers view the link between higher education and job skills. Yes, but: Make School, like most other non-traditional programming education programs, is still small and young. Whether they can successfully replace traditional computer science college degrees, or expand into other disciplines, remains to be seen. Editor's Note: This article has been corrected to clarify that the figures on enrollment include students in a one-year pilot program.